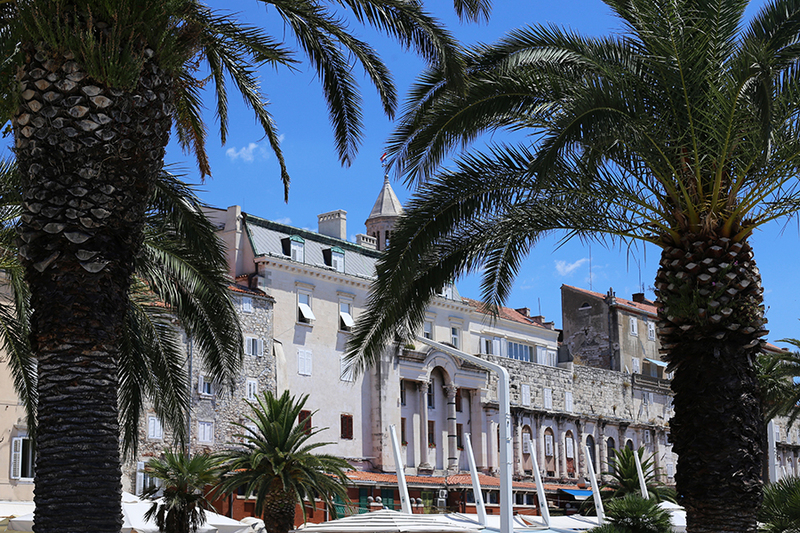 "Have you been to Split?" "Nope. I've heard it's nice down the middle, but opinions are divided." Another (disputed) Balkan city, another pun opportunity. 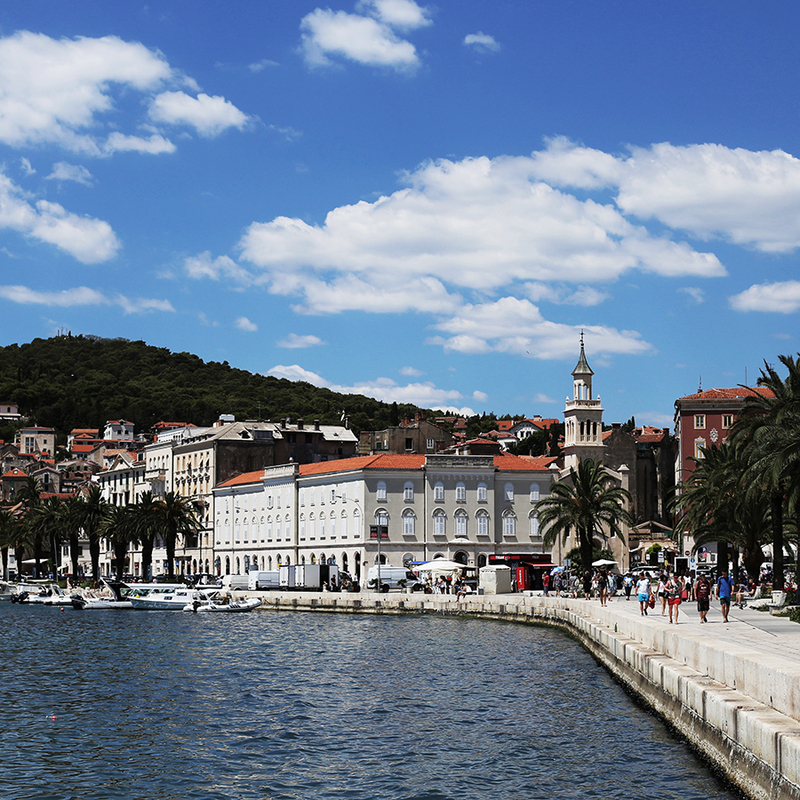 The last and only time I visited Croatia was when I flew from London to Dubrovnik then drove an hour to Porto Montenegro, which gave rise to my terribly brilliant/brilliantly terrible remix of Ni**as in Paris: "Balkan so hard Montenegrins wanna fine me, first Slavs gotta find me, what's Kosovo to a Yugoslavian like me can you please remind me? Balkan so hard, that Serb cray." *long awkward silence* Clearly, being a lyrical gangster/prose mangler/politically-insensitive buttwipe isn't yet criminalised in that part of the world because MC Interpol (or should that be PC Language?) 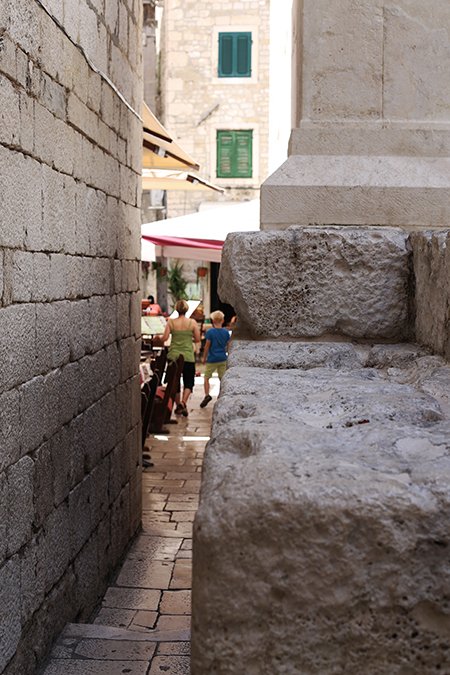 didn't bar me from entering Croatia, where I've just returned from having spent the better part of the last week. And what a week. A spur of the moment decision which ensued in frantic bookings of flights and Airbnb the day before - you could say I made up my mind in a Split second, haha - turned into five blissful days of scrumptious Dalmatian feeding frenzies, too-blue-to-be-true waters and skies, gorgeous surroundings brimming with ancient history, and BC: brilliant company and blonde Croat (you'll see). 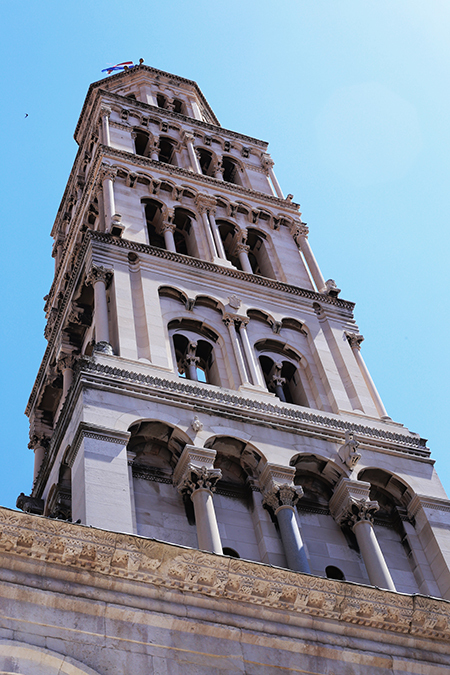 The heart of Split is Diocletian's Palace, which forms half the Old Town and the city centre. 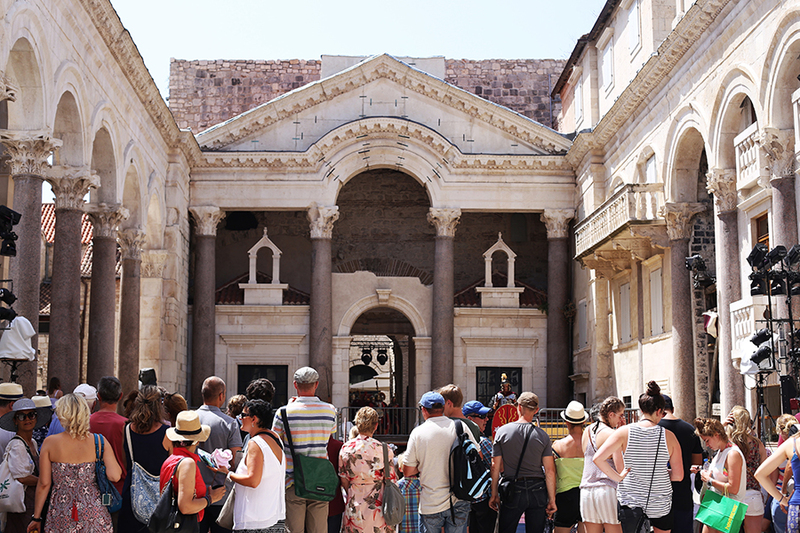 At the turn of the fourth century AD, Roman emperor Diocletian built this 'palace' (really a huge fortress, half of it for Diocletian's personal use and the rest housing the military garrison) as his retirement home. 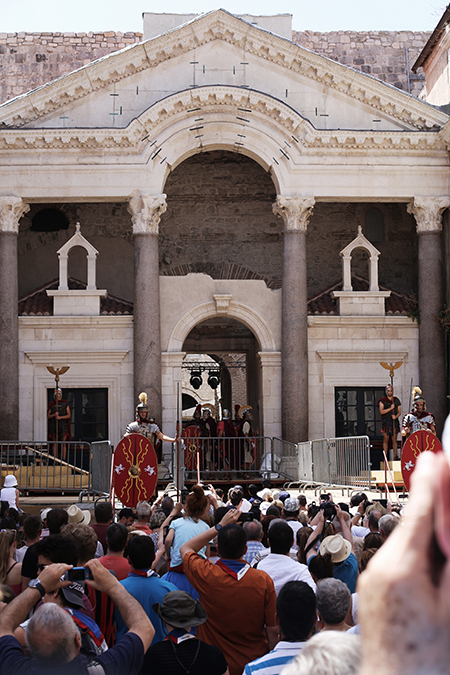 Today, the royal residence is the 'palace of the people' - occupied by businesses and residents making their homes within the palace basement and directly in its walls. 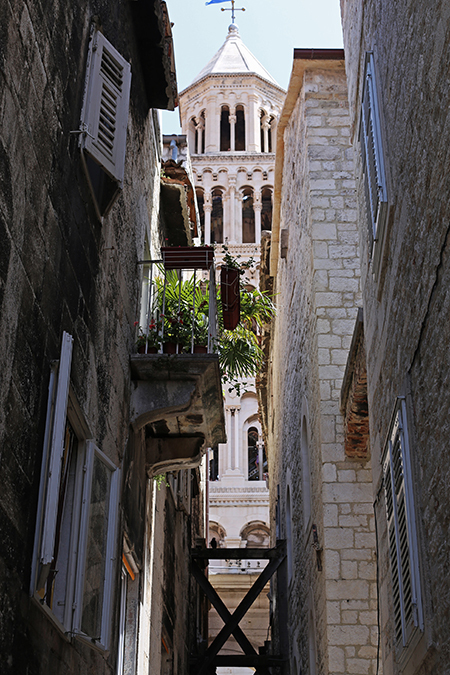 Diocletian's Palace is a dizzying labyrinth of random alleyways and tiny side streets packed with shops, restaurants, and boutique hotels - where lines of laundry, kidults playing Pokemon Go, pet cats, and other trappings of everyday life jostle among this UNESCO Heritage Site. 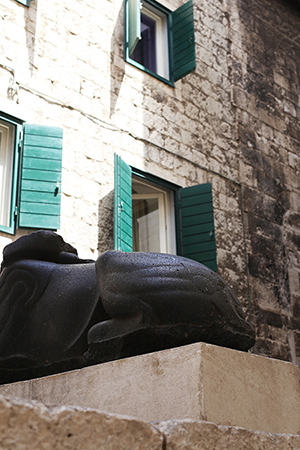 Because of the historical nature of Diocletian's Palace, you'll find that all the luxury hotels are quite the distance from Old Town. 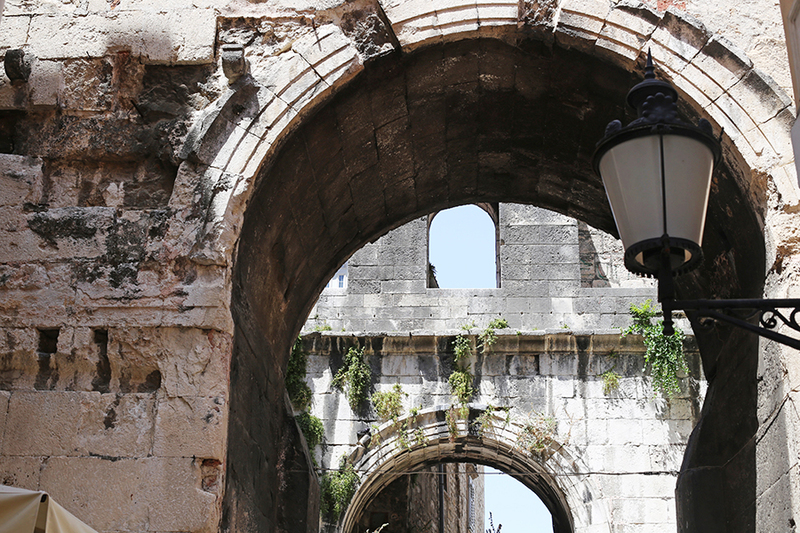 At best, you'll find 4-star hotels in the cobblestoned, pedestrianised palace so you'll have to choose luxury over convenience. 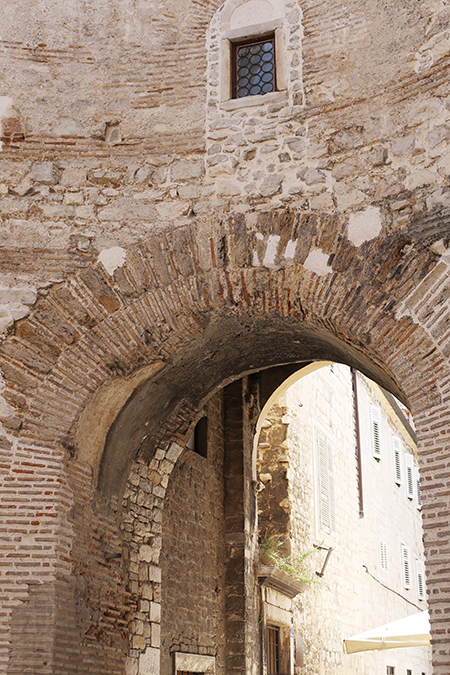 BC and I picked this apartment down a tiny alleyway off the main square right above the Temple of Jupiter. Every morning we woke up to the sound of tourists gathering outside the famous headless Sphinx and locals going about their daily business. 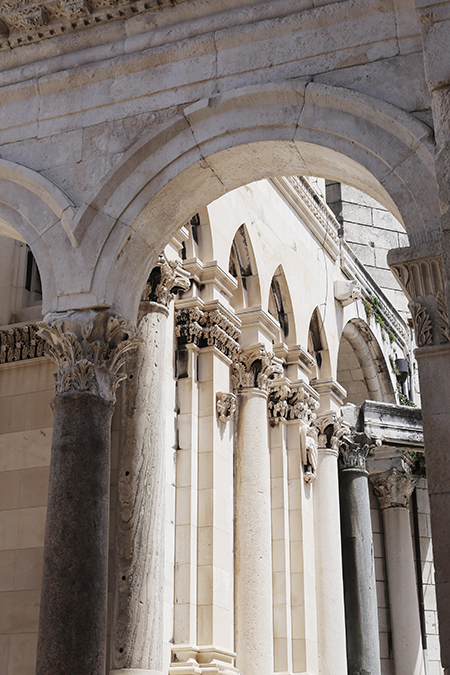 It's the most immersive experience one could hope for: staying in the living and breathing incarnation of ancient Croatian history built by a Roman emperor and now a world heritage site. 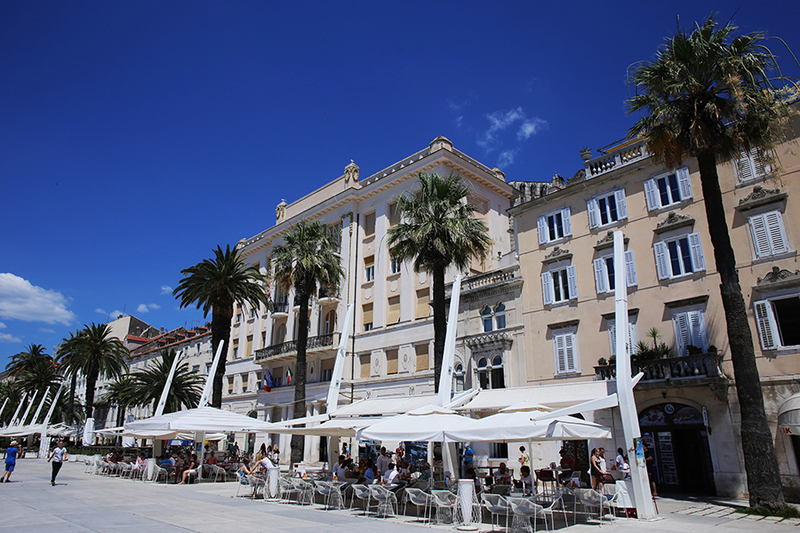 The square is alive with the sound of music: in the summer, Prokurative - Republic Square (above) is the site of concerts and cultural events, the most popular being the Entertainment Musical Festival of Split. 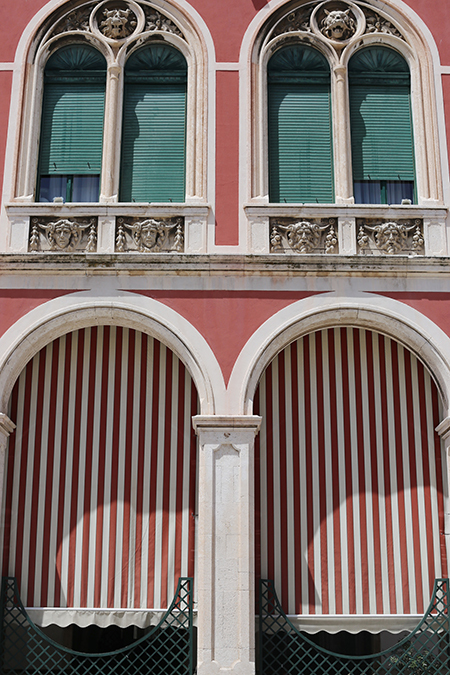 The salmon-pink neo-Renaissance buildings are inspired by the architecture of 19th-century Venice. 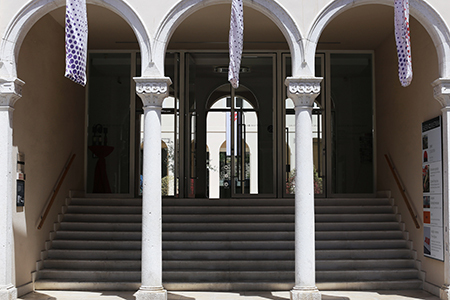 Artsy-fartsy chin-strokers will have plenty to ponder at the Gallery of Fine Arts (below). 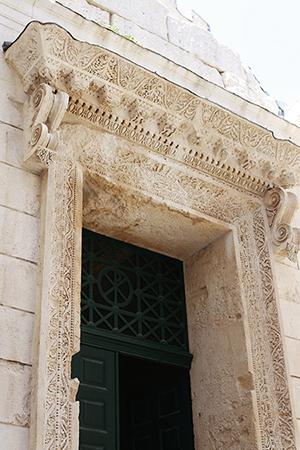 Split’s main art gallery, located in a newly-refurbished old hospital, boasts a collection spanning from Renaissance-representations to the recent, with an emphasis on works by key figures of Croatian art. Personally, I found the 'traditional collection' a tad small and thus lacked the kind of thematic coherence I'm accustomed to from a large gallery. 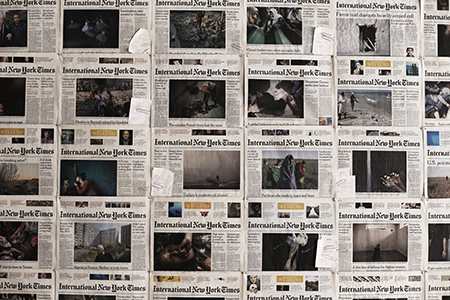 I found the contemporary art far more absorbing: politically-charged installations and moving image as well as prints and photography (left and below) from local and international artists. 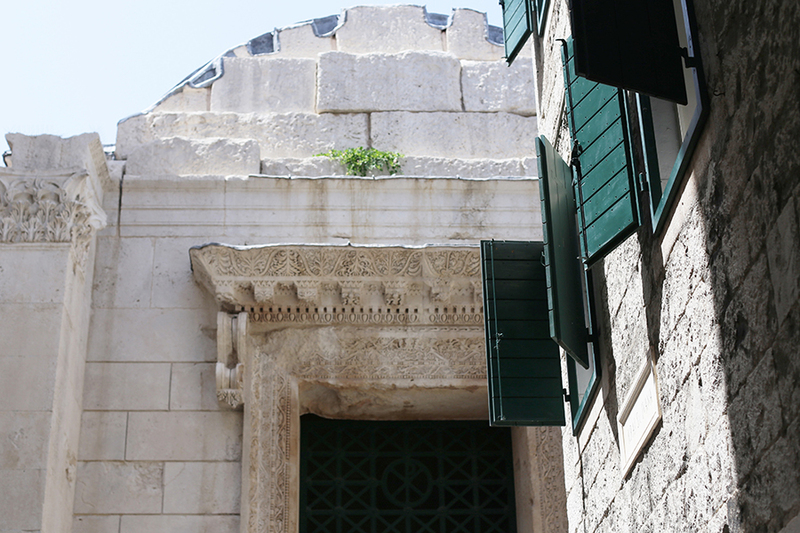 Sculpture enthusiasts would love to be caught between a rock and hard place at Meštrović Gallery, the neo-classical villa built in 1931 by Croatia's most renowned sculptor. 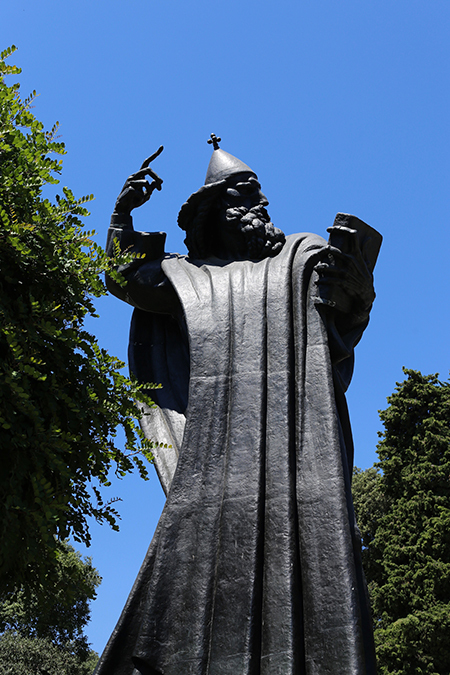 The range of Ivan Meštrović's work, from statues to portraits and even his influences are displayed beside his story of growing up in what would become Yugoslavia. 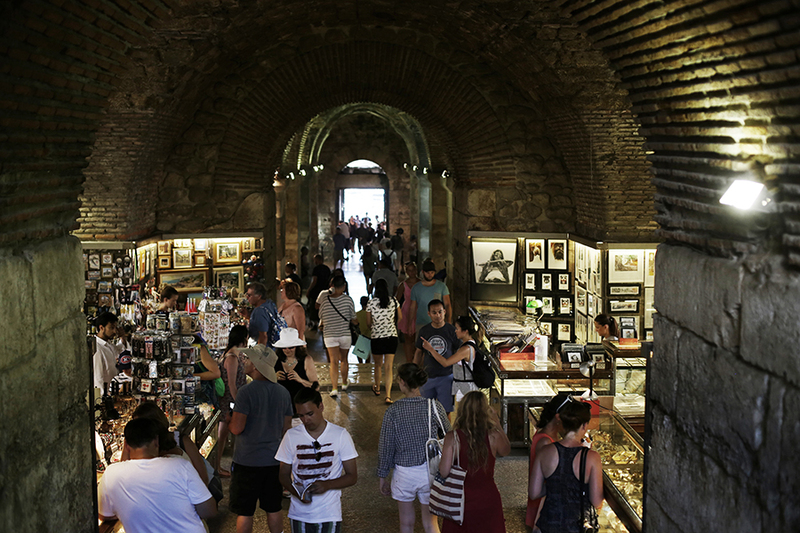 For historians, Split City Museum (a 15th-century Gothic building in the heart of Diocletian's palace) is a candyshop: chock-a-bloc with paintings, weapons, photographs, maps and old papers documenting the development of Split as a port town. 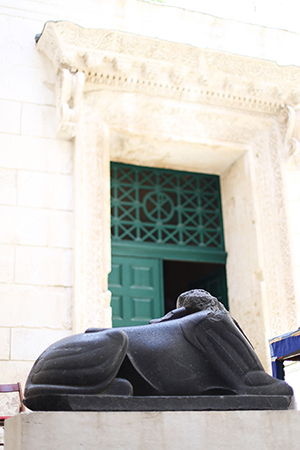 Dig a little deeper at the Archaeological Museum. 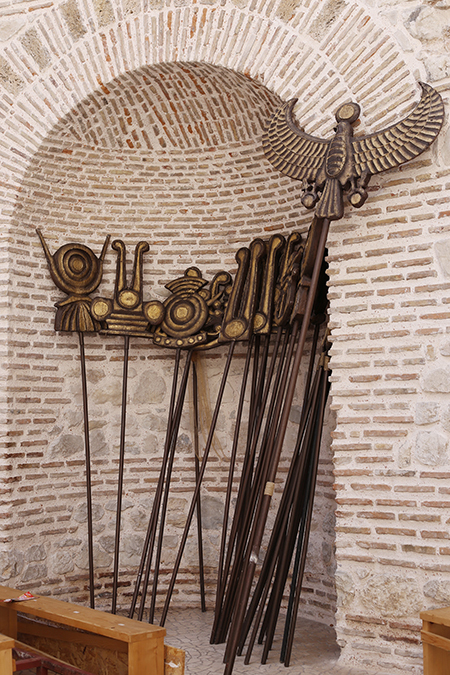 Founded in 1832, this museum is a three floor smorgasbord starting at the top with a prehistoric section of ceramics and weaponry, followed by a Roman and Liburnian floor, and ending with the Middle Ages on the ground floor. My favourite part of the museums is when I exit through the gift shop because I like to put a price on culture. 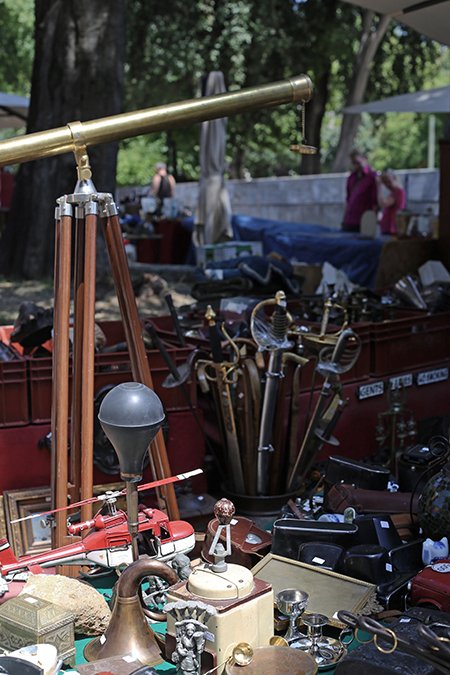 Browsing the antique stalls (left) beside the Gallery of Fine Arts is my idea of heaven, with weapons, old coins, and vintage cameras begging to be taken home. Superstitious shoppers who like their loot new and sans spirits are spoilt for choice at the many souvenir stands between the promenade and statue of Gregory Nin. 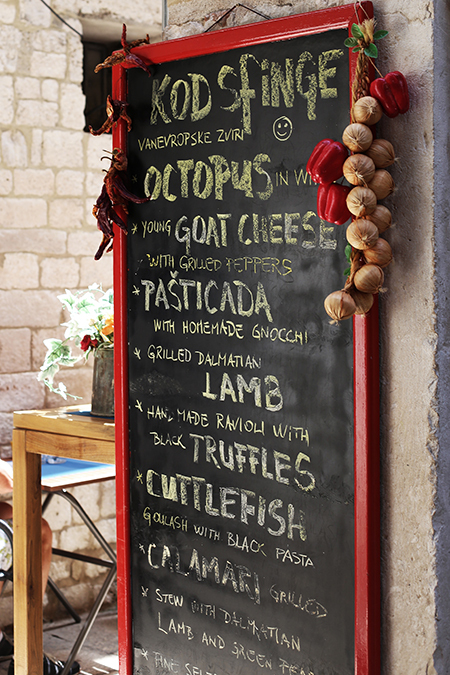 Nearby Green Market is brimming with fresh fruit and truffle products (a Croatian specialty) - perfect for snack stops. For a truly surreal experience hop to Froggyland. Over 500 stuffed frogs posed in hilariously detailed 'human situations' - it's funny, bizarre, and unnerving. Split's living room. Pedestrian heaven. 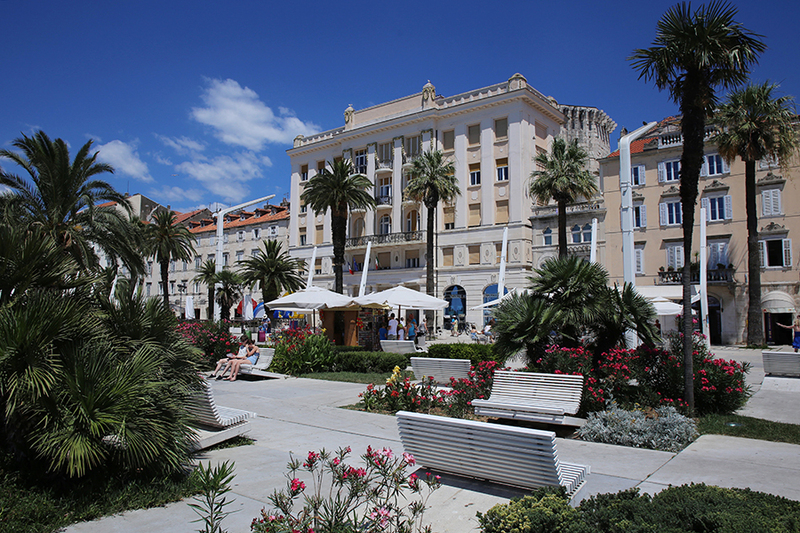 The stage of the city life of Split. 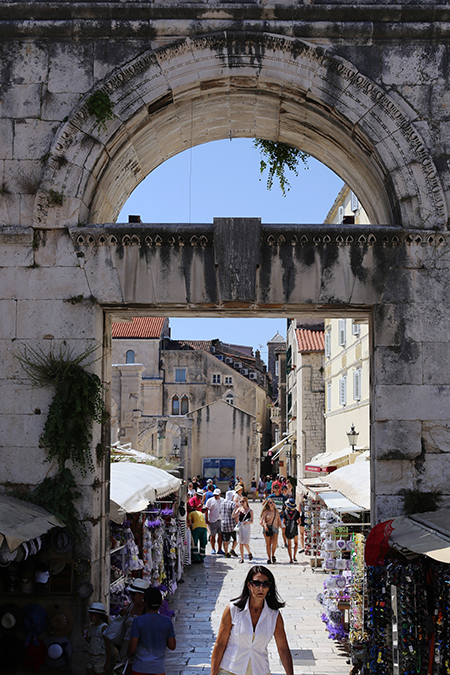 The Riva has been called all these and all, but I prefer this analogy: if Diocletian's Palace is the heart of Split, than this promenade is the main artery where the blood of the city ebbs and flows. The first time I set eyes on the Riva I could've sworn I was in the French Riviera, and I wouldn't be completely wrong: the Riva looks the way it does when Napoleon ruled the region two centuries ago. Old shorty pants may have gone, but the French are still around...along with the Americans, the British (hello, am I in Spain? ), the Australians...everyone from everywhere in the world, really. Pulsing with cafés, bars, ice-cream parlours, restaurants, to say nothing of the many cultural events that take place at night (does breakdancing count? 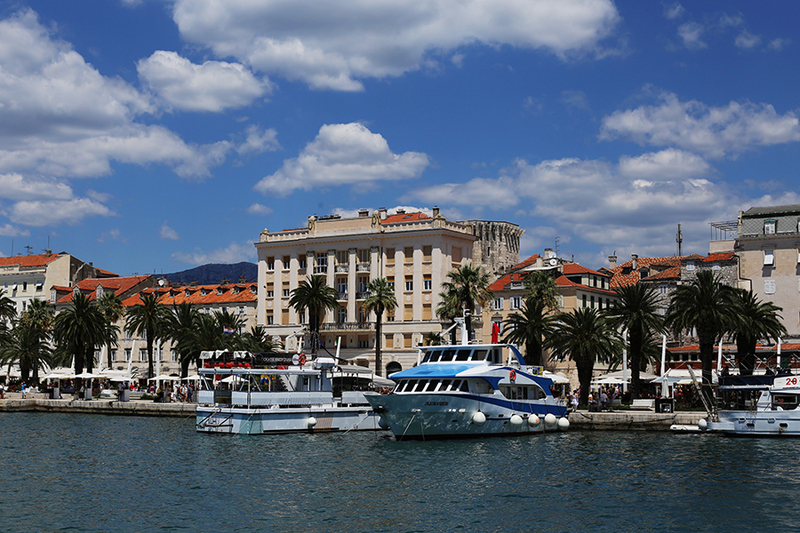 ), the Riva is the place to see and be seen. 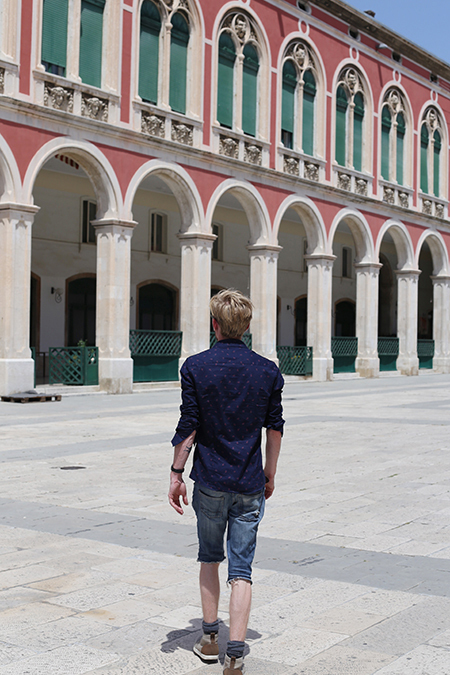 Evidently: the BC mused that his cousin was also holidaying in Split and that they were bound to run into each other at the Riva. I chuckled at his optimism and lo, come the next evening, guess who had an inadvertent 'family reunion'? 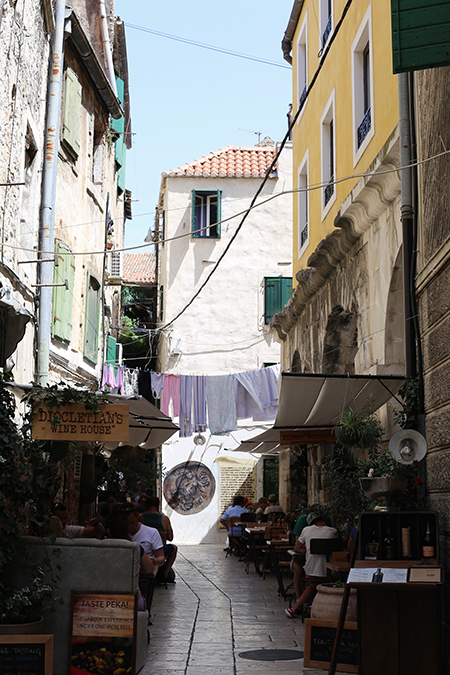 Landlubbers can keep their feet on the ground: climb the Mediterranean pine forest of Marjan Hill for incredible views of Old Town and beyond. Still need convincing? 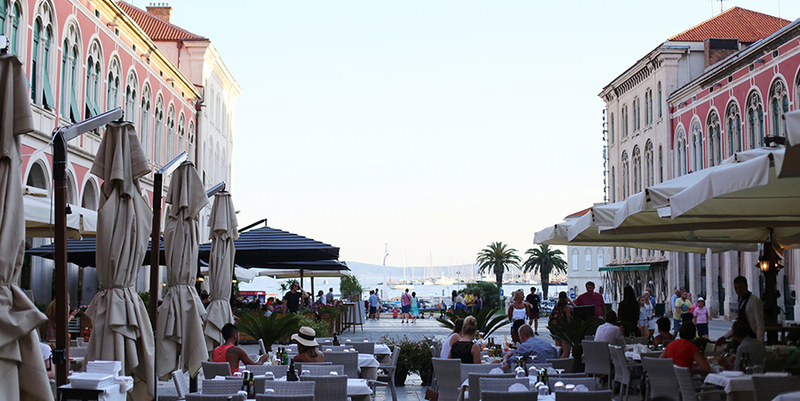 Stay tuned for Part 2 of Ten Reasons Why You Should Visit Split, and a post on my 5 Restaurant Picks in Old Town. 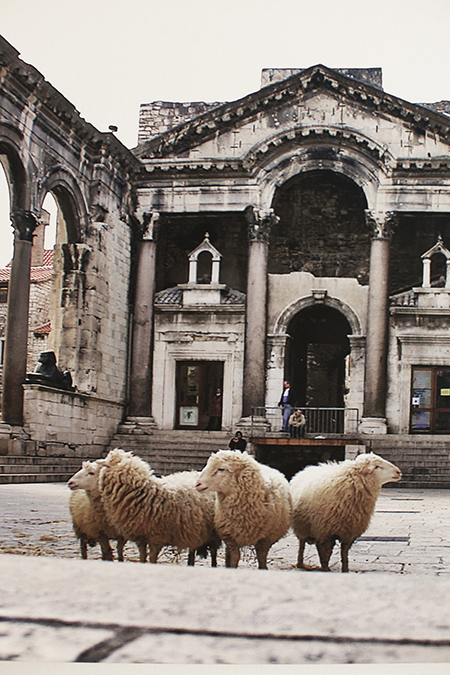 Have you ever been to Split? 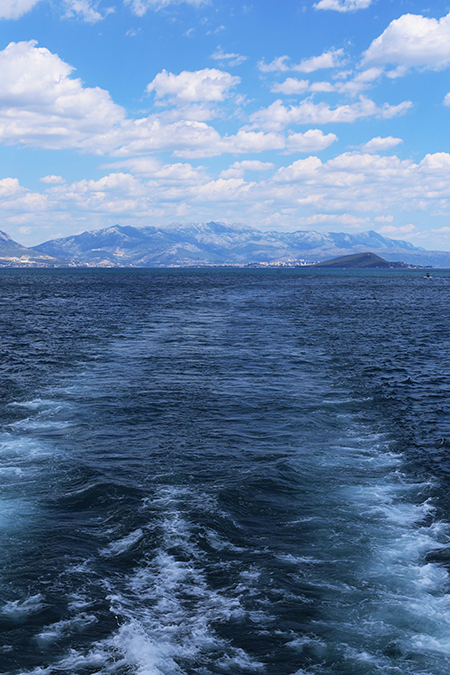 Can you hear Croatia calling? Share this post using the buttons below if you want to spread the wanderlust/if you like Dalmatians.